The Board of Directors of the Manager is entrusted with the responsibility for the overall management of the Manager and comprises eight Directors. 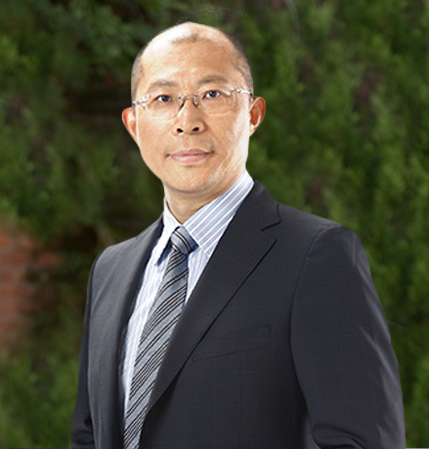 Mr. Xu founded the Sponsor Group in 1989, and is currently an Executive Director of the Sponsor, as well as several entities within the Sponsor Group, where he is responsible for overall management of the Sponsor Group, including determination of the Sponsor Group's development plans, operating principles and investment programs. Under the guidance of Mr. Xu, the Sponsor Group had developed since 1989 to become a leading premium outlet group in the PRC. 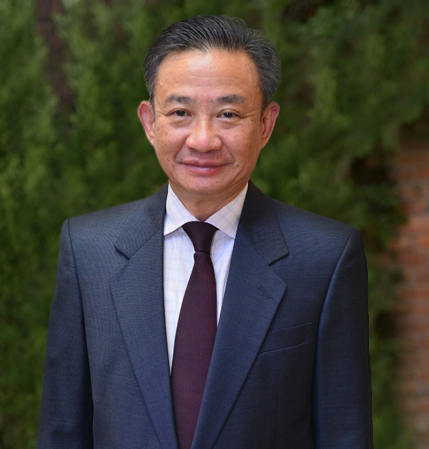 Prior to setting up the Sponsor Group, Mr. Xu was employed in the Southwest Normal University from July 1985 to December 1989, where he was responsible for office management and advertising. Mr. Xu is also the recipient of numerous awards, including the "2009 Chongqing Top 10 Fashion Icon" awarded by the Chongqing Morning News and New Female Newspaper in 2009 and the "Chongqing Top 10 Retailer" awarded by the Chongqing Morning News and Chongqing City Chamber of Commerce in 2013. Mr. Xu graduated with a Specialisation in Agronomy from Chongqing Yongchuan Agricultural School, the PRC in July 1985. Mr. Xu Rongcan is the spouse of Ms. Yang Xue. Ms. Yang co-founded SASSEUR (Shanghai) Holding Company Limited, a property development and construction company which provides enterprise management to nine malls in eight municipalities and provincial capitals in the PRC, in December 2005. She has also been the Executive Director of SASSEUR (Shanghai) Holding Company Limited, where she presides over the day-to-day business activities of the company. She is also currently an Executive Director of the Sponsor as well as several entities within the Sponsor Group, where she is responsible for the external affairs of the Sponsor Group, as well as its growth and development. Prior to her position in the Sponsor Group, Ms. Yang was a sales executive for Emporio Armani from July 2003 to December 2005, where she was primarily responsible for shop operations and sales. Ms. Yang graduated with a Specialisation in Garment Marketing from Chongqing Material Technical School in March 2000. Ms. Yang is the spouse of Mr. Xu Rongcan. Dr. Wang joined L Catterton in June 2010 and is currently the Managing Director of L Catterton Singapore Pte. Ltd., where he is responsible for deal sourcing, term sheet negotiations, deal executions and post deal portfolio management. From March 2003 to June 2006, Dr Wang was the Manager of the Global Strategic Alliance Department at Procter & Gamble, United Kingdom, where he led the marketing, research & development and patent departments to form multi-company alliance marketing strategies. From October 2008 to April 2010, he was a Senior Associate with McKinsey & Company, Shanghai, where he was primarily responsible for providing support to his private equity clients, including in their takeover of other companies. 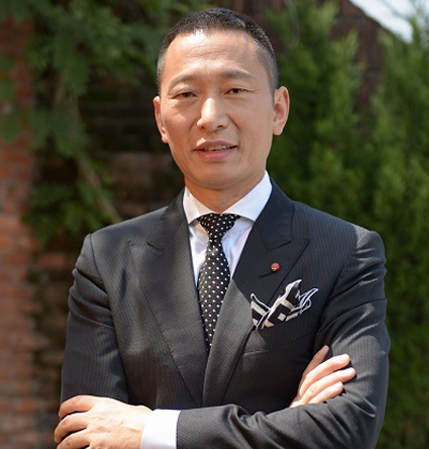 Dr. Wang graduated with a Bachelor of Science Degree from Peking University in 1998, and obtained a Doctor of Philosophy (in Chemistry) from Oxford University in 2002 and a Master in Business Administration from Harvard Business School in 2008. 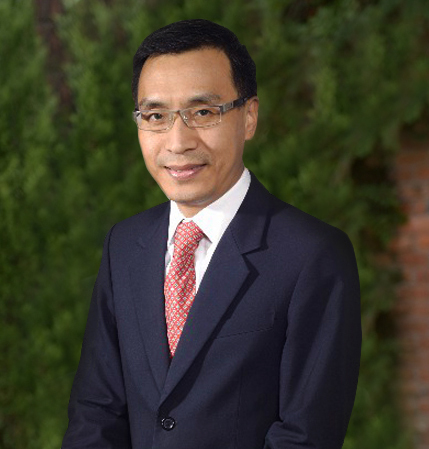 Dr. Zhou has been the Chairman and Chief Executive Officer of Ping An Real Estate, a real estate investment company, since April 2010, where he is responsible for the overall management of the business. Prior to that, Dr. Zhou was the Director and General Manager of Sun Hung Kai Development (China) Co., Ltd., a real estate development company in the PRC, where he was responsible for the overall management of the business. 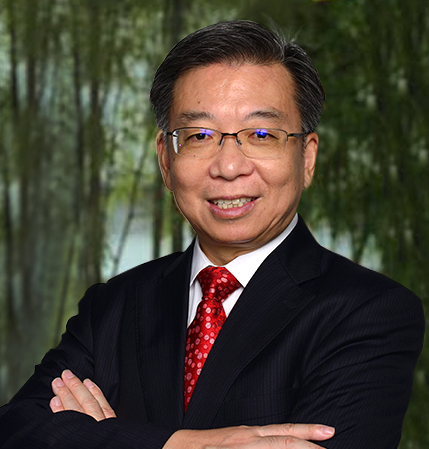 Dr. Zhou is also currently a Non-Executive Director of Landsea Green Properties Co. Ltd., a company listed on the Stock Exchange of Hong Kong Limited and a Non-Executive Director of CIFI Holdings (Group) Co. Ltd., a company listed on the Stock Exchange of Hong Kong Limited. Dr. Zhou has a PhD Degree in Economics from Fudan University, the PRC. 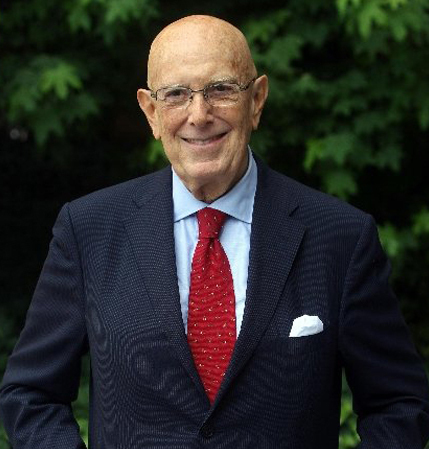 From August 1959 to April 2005, Mr. Boselli was employed by Carlo Boselli of Garbagnate Monastero (currently known as Marioboselli Holding Spa), with his last position being President of the company. During his time at Carlo Boselli of Garbagnate Monastero, a silk mill with a longstanding tradition, he developed the business both in Italy and abroad, where he set up a textile supply chain. From October 1999 to April 2015, Mr. Boselli was the President of the Camera Nazionale della Moda Italiana (National Chamber of Italian Fashion), a non-profit organisation with the purpose of promoting the Italian fashion industry. From December 2005 to April 2011, he took on the role of President and Chairman of the Board of Directors of Centrobanca Banca di Credito Finanziario and Mobiliare, a corporate and investment bank in Italy. As a renowned fashion icon, Mr. Boselli had won numerous awards. Some of his awards include the Cavaliere di Gran Croce dell'ordine al Merito della Repubblica Italiana received in June 2007 from the President of the Italian Republic for his merit to the nation, the Gran Cruz de l'Orden Nacional al Mérito received in February 2004 from the President of the Columbian Republic, which rewards distinguished merits in military and civil achievements, and the Commandeur de l'Ordre National de la Légion d'Honneur received in April 2002 from the President of the French Republic, which is the highest French order for military as well as civil merits. Mr. Boselli has a Diploma from the Scuola per direttori di essiccatoi bozzoli filande e torcitoi di seta (which translates into School for Director of Drying Cocoon Warehouse, Spinning Mill and Silk Spinning Wheel) in Italy. Dr. Gu has been an Associate Professor of the Lee Kuan Yew School of Public Policy of the National University of Singapore since August 2009, where he conducts lectures on the Chinese economy, economics of the public sector and urban development. Since April 2017, Dr. Gu has also been an economic adviser to the Fuzhou New Zone in the PRC, where he provides advice to the Chinese government for economic development of the new zone, which is an experimental zone on the PRC's new type of urban cluster. Prior to that, he was an Assistant Professor at the Nanyang Technological University of Singapore from July 2001 to July 2009, where he conducted lectures on mathematical economics, microeconomics and macroeconomics and cost-benefit analysis and undertook research work relating to the Chinese economy, econometric modelling, reform of state-owned enterprises and international trade and finance. He had also carried out research on the Chinese economy, Singapore public policy and urban development from June 1997 to July 2001 as a research officer in the East Asian Institute of the National University of Singapore. He has been an Independent Director of China Life Insurance (Singapore) Pte. Ltd. since June 2015. Dr. Gu graduated with a Master of Social Sciences from the National University of Singapore in January 1998. He also obtained a Degree of Doctor of Philosophy from the Nanyang Technological University of Singapore in May 2003. From December 1970 to July 1975, Mr. Cheng was a journalist with two Chinese language daily newspapers in Singapore. Subsequently, Mr. Cheng joined Ernst & Young LLP (then known as Turquand, Youngs & Co) from April 1977 to June 2010. During his 33 years with Ernst & Young LLP, Mr. Cheng had amassed experience in financial audit, bank audit and training and administration. He had taken on the role of audit partner of Ernst & Young LLP from July 1990 to June 2010, where he was responsible for financial audit, group administration as well as audit work in relation to initial public offerings. From July 2010 to the present, he had stepped down from his role in Ernst & Young LLP and is currently a self-employed restaurant operator. In addition, Mr. Cheng has been appointed as an Independent Director by Singapore-listed company Chip Eng Seng Corporation Ltd. since July 2011, where he chairs the Nominating Committee and is a member of the Audit and Remuneration Committees. Mr. Cheng graduated with a Bachelor of Accountancy from the University of Singapore (currently known as the National University of Singapore) in May 1977. He had also completed the Stanford-National University of Singapore Executive Program, jointly organised by the Graduate School of Business in Stanford University and the Faculty of Business Administration of the National University of Singapore, in 2000. Mr. Cheng is a member of the Institute of Singapore Chartered Accountants (Singapore) the American Institute of Certified Public Accountants (United States) and the Association of Chartered Certified Accountants (United Kingdom). 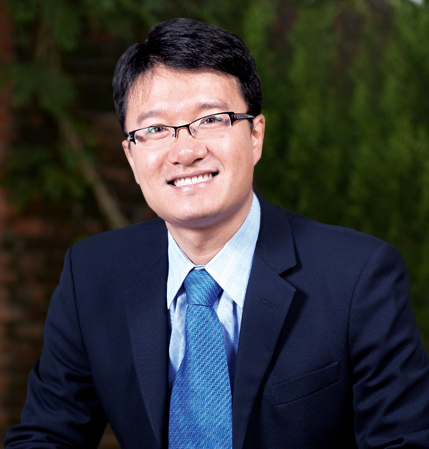 Mr. Wu practiced with Drew & Napier LLC since April 2008, and has been a Director at Drew & Napier LLC since May 2016, where his areas of practice include corporate finance, capital markets, and general corporate legal advisory work. Prior to his current role, Mr. Wu was a Judicial Clerk with the Supreme People's Court of the PRC from July 1995 to June 1998, where he was mainly responsible for reviewing legal cases, conducting legal research and drafting legal documents. Subsequently, he joined Pan-Commercial Pte. Ltd. as a legal adviser and foreign trade assistant from July 1999 to December 1999, where he assisted with the company's trading business and investments in the PRC. He then joined Hoh & Partners as a Chinese law adviser from January 2002 to June 2003, Colin Ng & Partners as a foreign counsel from June 2003 to October 2003, and Hoh Law Corporation (formerly known as Hoh & Partners) as a legal executive from November 2003 to April 2008. Mr. Wu has also been appointed as an Independent Director by Singapore-listed company Foreland Fabrictech Holdings Limited since September 2014, where he chairs the Nominating Committee and Remuneration Committee and is a member of the Audit Committee. Mr. Wu graduated with a Bachelor of Law from Peking University in July 1995. He also obtained a Master of Comparative Law from the National University of Singapore in August 1999 and a Master of Arts from the University of Delaware in January 2002.